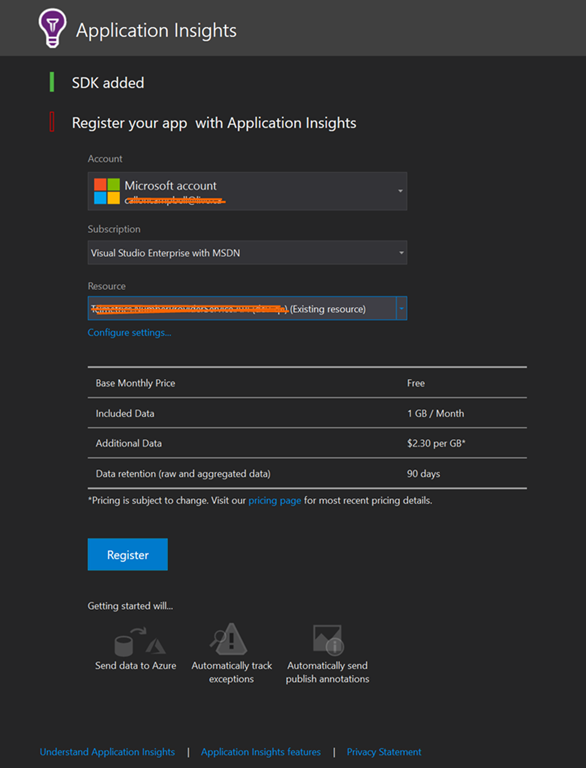 In my previous posts I gave a quick Introduction to Application Insights and then I showed you how to Disable Application Insights from your app. 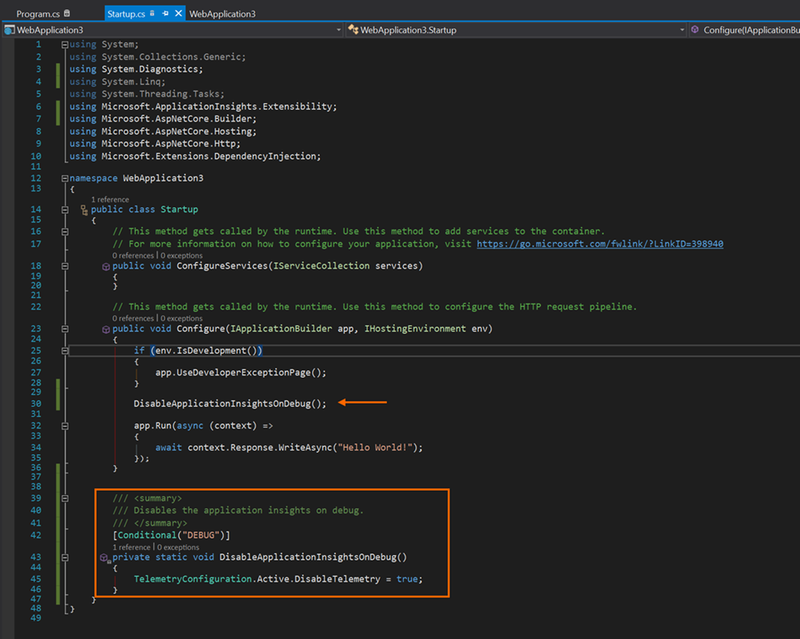 In this post I’ll walk you through creating an ASP.NET Core application and then configuring it with Application Insights. Let’s get started. 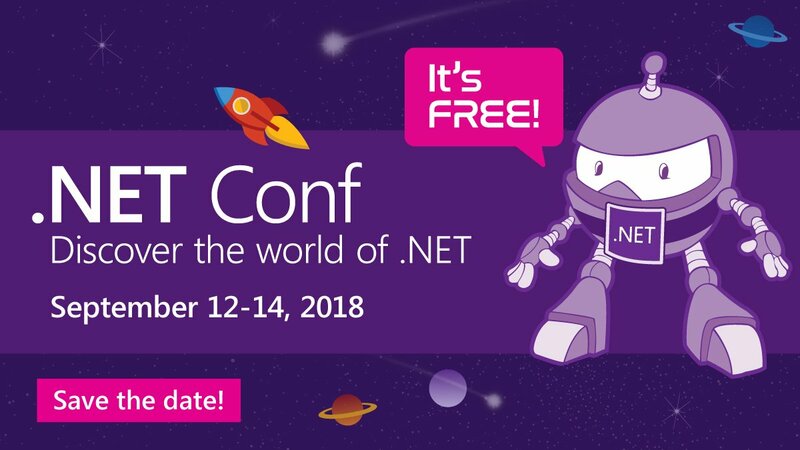 Start by creating a new ASP.NET Core application (this also applied to non-core ASP.NET applications). 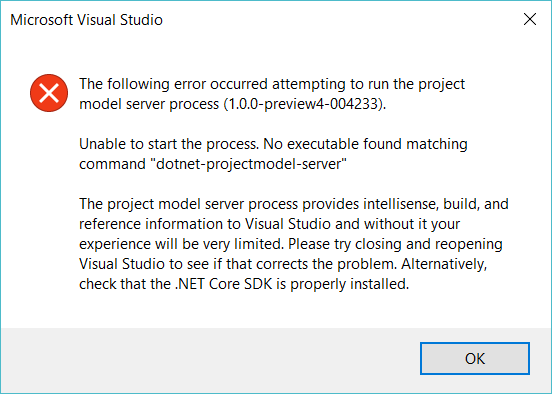 Once the application is created right click on the project file in the context menu look for Configure Application Insights… and then click on it. You will see that the SDK has already been added to your application. Next click on the Start Free button to start using Application Insights. You will need to have an existing Azure Subscription. If you don’t already have one you can create one for free and start with a $250 credit for 30 days + you will have access to popular services for 12 months + there are over 25 services that are always free. Now that you have your Azure Subscription, login with your Microsoft Account, select your Subscription and then a Resource. These can always be easily changed later on if need be. Now that Application Insights is configured for your application you have access to a wealth of information with the click of a button. 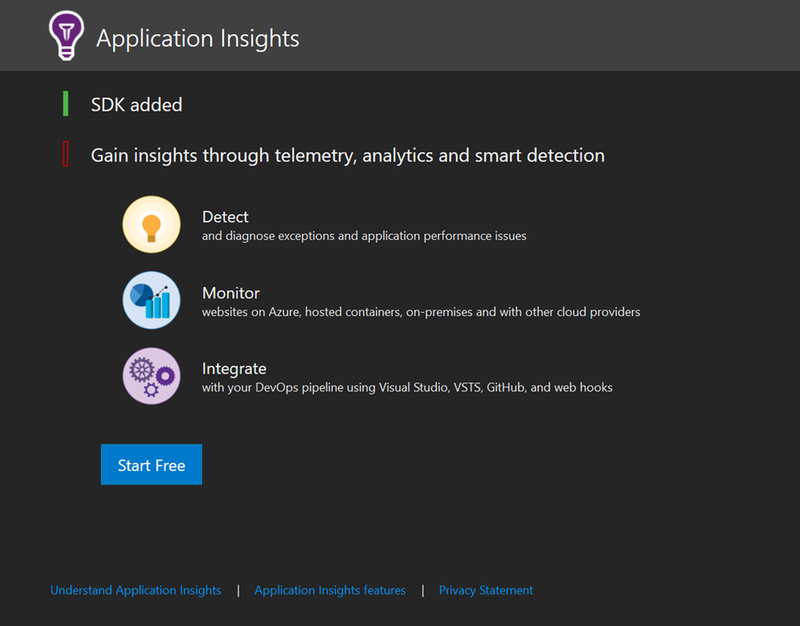 You can search your Application Insights results from either the Azure Portal or from within Visual Studio. To use Visual Studio go to the View menu, select Other Windows and then Application Insight Search. You will then get view of the telemetry for the last 24 hours as shown below from a sample API I have. From here you can filter the telemetry and dive down into specific events. There is a lot of value from using Application Insights in any of your applications. I hope you take a look and try it out for yourself. 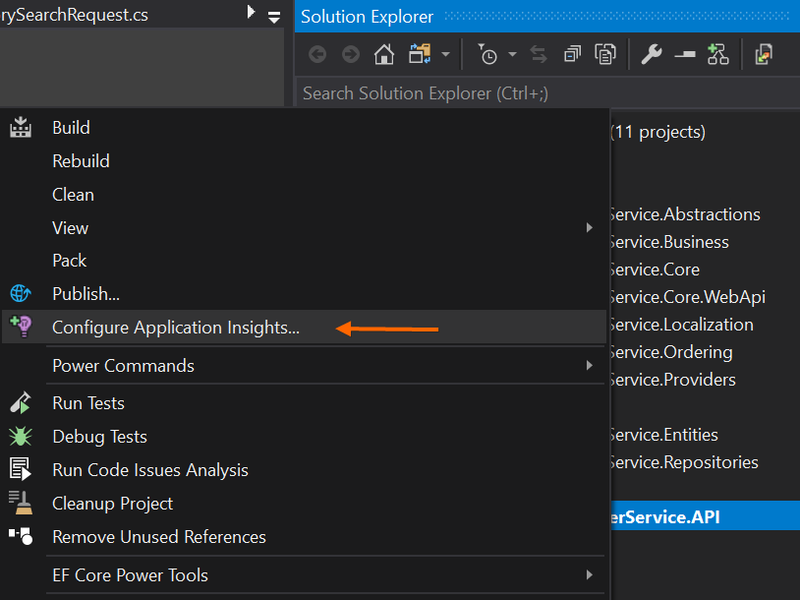 In my previous post I showed you how easy it was to get started with an Introduction to Application Insights for your ASP.NET Core application. However what if you you don’t want Application Insights? You might notice in your Output pane when running your app that it’s still partially enabled for you out of the box. I’ll walk you through what I mean by it being partially enabled and then how you can go about hiding it until such time you decide to fully turn it on. Let’s get started. 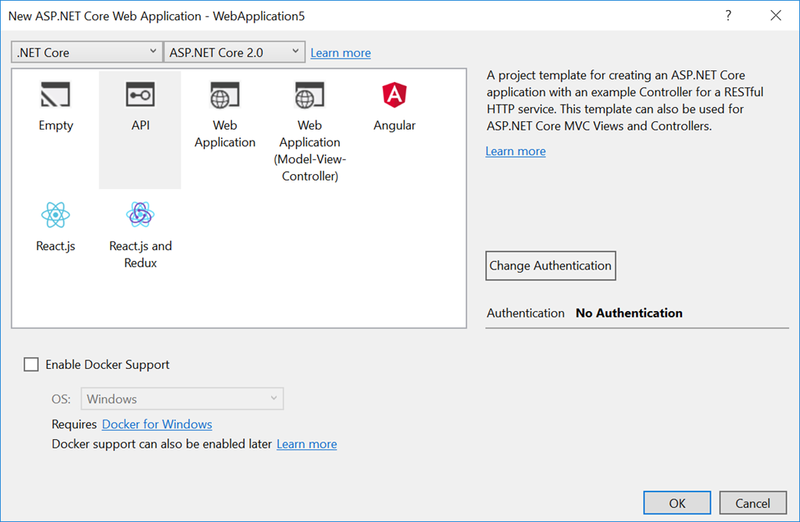 Start off by creating a new ASP.NET Core application (see below) and then immediately run it. You might be wondering why is it doing this and how can I disable it? Now when you run your application and look in the Output pane you will no longer see any statement pertaining to Application Insights. I see a great deal of value of keeping Application Insights and using it in all your applications, so if you need to disable it then maybe do this when running in debug mode by using a conditional attribute on the method.